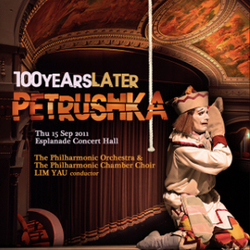 In the second concert of the 100 Years Later trilogy, The Philharmonic Orchestra will perform Stravinsky's popular ballet music for Petrushka - a brilliant drama of love and death involving three puppets in a Russian fairground. 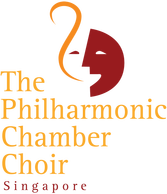 In addition, The Philharmonic Chamber Choir will present a tapestry of Russian folksongs, including those found in Petrushka. Join The Philharmonic Orchestra and The Philharmonic Chamber Choir under the baton of music director, Lim Yau, together with narrator, William Ledbetter, in this evening's concert as Stravinsky’s fantastic gifts for orchestral colour and narration come to life.